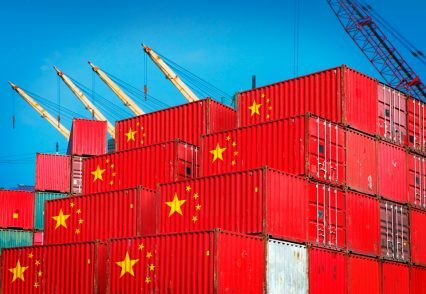 Chinese trade growth for July was weaker than expected, with both exports and imports growing more slowly than economists had predicted. Exports grew by 11.2%, down from 17.3% a month before. Capital Economics had forecast growth of 15%, with Bloomberg predicting 14.9% growth. Imports, meanwhile, grew by 14.7%, which is down from 23.1% in June – again failing to meet economist forecasts. The slump raises questions about consumer demand: if China’s exports are slowing, it means fewer people are buying the goods it makes. This is particularly true given the broad-based nature of the slowdown, sectorally. Overall trade growth was 8.8% for the month of July, the slowest of the year to date. It suggests that earlier optimism after GDP growth for the second quarter beat expectations may have been premature. “Overall, today’s data imply that the Chinese economy may not have had quite as strong a start to Q3 as previously thought. In particular, the decline in industrial commodity imports suggests that, after an uptick at the end of Q2, investment growth may have begun to cool again,” says Julian Evans Pritchard, China economist at Capital Economics. The data release comes at a time when some analysts are drawing comparisons between current economic conditions and those before the global financial crisis kicked in 10years ago today (August 9). Weakening consumer demand and inflated investment markets were harbingers of the crisis a decade ago, when BNP Paribas’ announcement that it would suspend redemptions from three of its funds due to “the complete evaporation of liquidity in certain market segments of the US securitisation market” sparked the start of the greatest financial crisis since the Great Depression.